Turn 10 Studios is committed to updating Forza Motorsport 7 with new content, features and fixes. 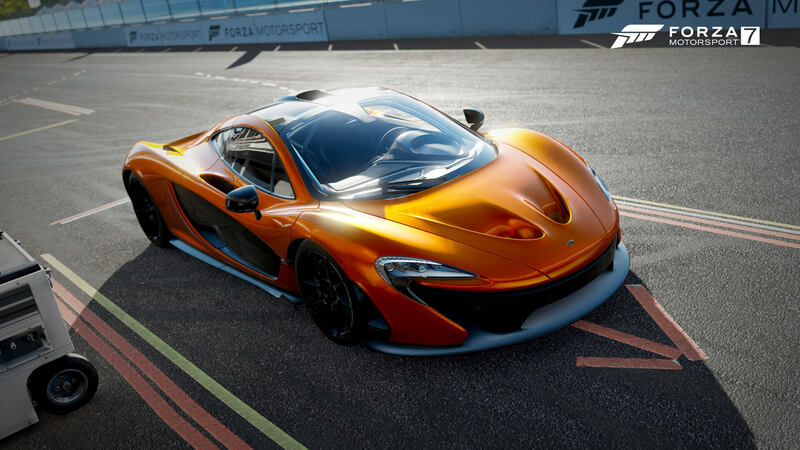 It most recently pushed out one of its most exciting releases yet in July alongside the Top Gear Car Pack, but August certainly tops it with one of the biggest and most comprehensive updates to arrive in the history of the Forza franchise. Whilst this one doesn’t feature a new Car Pack; the list of new features and improvements is massive. 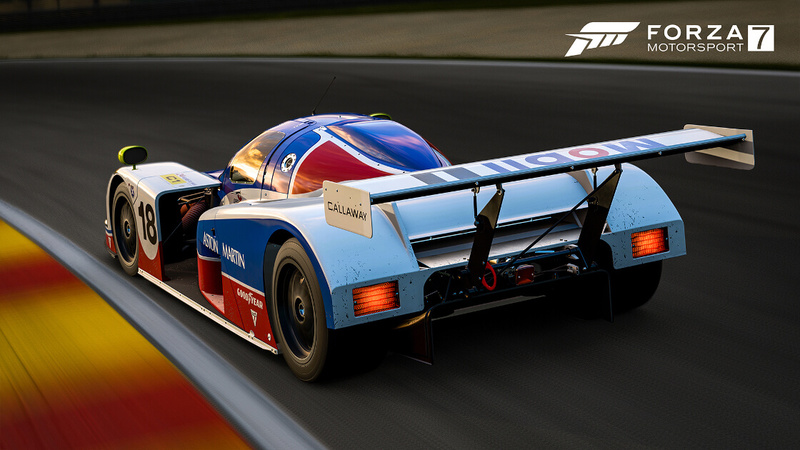 There’s a lot to dive into in this release, and there’s even a new free British Spotlight car in the 1989 Aston Martin AMR1. However, this one takes the first step towards introducing a full-fledged Forza Race Regulations by adding the eagerly-awaited redrawn track limits for all circuits and ribbon configurations in Forza Motorsport 7. These tracks now offer more clarity than ever before with a new track limit visual illumination feature. What’s more, the August update also introduces the fan-favourite Time Attack feature to the game. No matter what car, class or track you enjoy, they all now have an associated Rivals leaderboard. Drifters also have a lot to look forward to this month with a revamped Drift Mode, featuring some major upgrades. There’s a new drift scoring model with dedicated drift leaderboards, and the experience is made even better with new drift suspension upgrades ready and waiting to be fitted to your ride. The wide-open Test Track Airfield is also being made accessible in Free Play. As always, we’ll dive into each of these features in more detail, so you can learn everything about what to expect from Forza Motorsport 7 this month. Buckle up, because this is a big one – and it drops on Wednesday, August 8th, following the closure of the latest ForzaRC Rivals Qualifying event for Series 2. The first phase of introducing Forza Race Regulations to Forza Motorsport 7 begins this month with the arrival of updated, rewritten track limits for every circuit and ribbon configuration in the game. The development team at Turn 10 Studios have redefined track limits by “hand-drawing” all of them for every configuration in Forza Motorsport 7. From the smallest circuits like Rio Mini to the largest tracks in the game, such as the full Nürburgring circuit. In its update notes, Turn 10 says that the Nürburgring required 13,000 pins to be hand-placed by the team to create the splines that define both the inner and outer track limits on the world-famous gigantic race course. A few examples of completely overhauled track limits include the second chicane on Monza, as well as the first and last turns at Sebring. Both now play out very differently than they have before, but the basic rule of thumb behind these redrawn track limits is as follows: Three tires over the line is considered ‘dirty,’ and that applies whether you’re racing or drifting. Drivers can also choose between two different illuminated line styles. The ‘ribbon’ is a solid line, whilst the ‘markers’ offer a dotted line. Players also have the option to choose whether the lines should always be illuminated, or only when the car gets close to a limit line. This offers players the maximum level of freedom and customizability when learning and adjusting to the refined track limits. 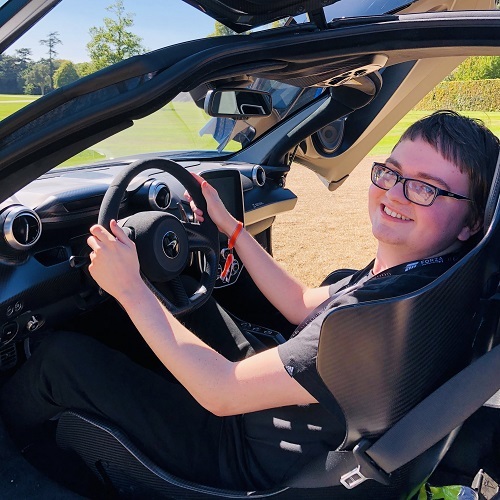 Since this change impacts everyone – both casual drivers and ForzaRC professionals alike, it’s important that everyone can become accustomed to these limits ahead of the full rollout of Forza Race Regulations later this year, which will include penalties. 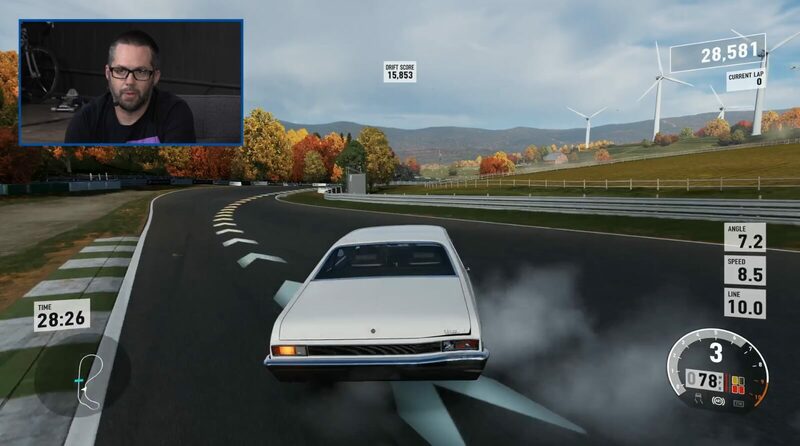 There’s no denying that the classic Time Attack Rivals leaderboards present in Forza Motorsport 6 has been one of the most requested features for Forza Motorsport 7, and with the August Content Update, it has finally arrived. Time Attack for Forza Motorsport 7 is the ultimate test for hot-lappers and competitive players alike and perfectly goes together with the redrawn track limits. Time Attack introduces a leaderboard for every track ribbon and circuit configuration in Forza Motorsport 7, offered across every car class, weather condition and time of day. These will all have their own Rivals Leaderboard in the game, though it’s worth noting that whilst Forza Motorsport 7 features dynamic weather, the conditions will remain static for these Rivals hot-lap events. This means all players have a consistent experience when running their laps in Rivals mode. 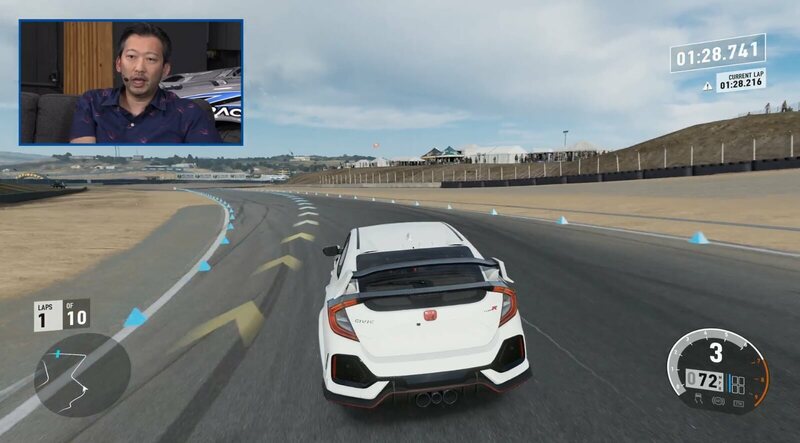 The return of Time Attack welcomes a new feature to Rivals event in the form of a ‘Training Ghost.’ Turn 10 says this addition has come to Forza Motorsport 7 “as a direct result of our conversation with ForzaRC drivers.” These are the most competitive and skilled players on the game, and they enjoy training against certain ghost cars over multiple laps. The Training Ghost feature allows players to set a Rival before entering an event. While participating in the Rivals event, your Training Ghost will still be present even if you beat its time. Turn 10 says the Training Ghost is “a great tool for players who want to consistently race against the opponent of their choice over numerous laps.” In addition, to coincide with the new updated track limits and the return of Time Attack mode, all Rivals leaderboards will be archived and wiped from Forza Motorsport 7 on August 8th. 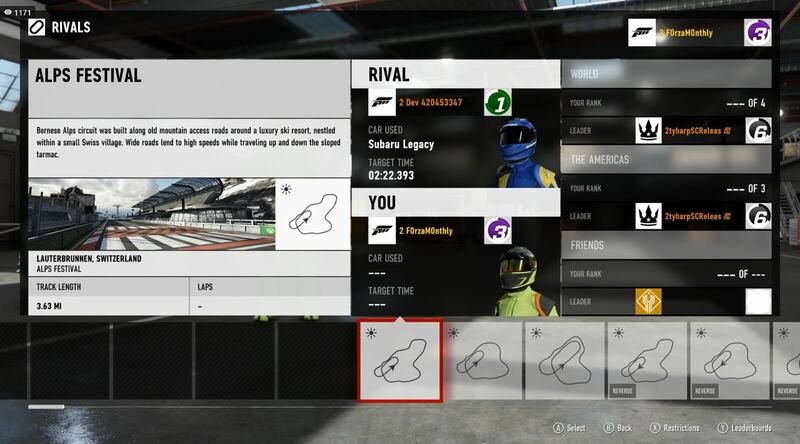 The Time Attack mode will also only track leaderboard times from those set within Rivals, so times achieved in the Forza Driver’s Cup, Free Play and Multiplayer will not count. August is a month for all drifters in the Forza community and the list of new additions for those who enjoy sliding sideways is vast. Firstly, there’s a new drift suspension upgrade option available in the Upgrade Shop. This one includes a new steering angle kit that players can tune up for up to 60-degrees of steering angle. Furthermore, this upgrade includes quicker steering and optimized suspension geometry for lower camber change in steering, as well as lower Ackermann effect. This reduces scrubbed loss of speed on the car during a drift. In tandem with the above features, Turn 10 has also introduced an updated drift scoring system into Forza Motorsport 7 that’s not only fairer, but also more rewarding and accomplishing. Drift scoring will now be based on three different criteria – Speed, Angle, and Line. These three elements will be based on a 10-point scale that measures your optimal and is displayed on-screen with real-time scoring information along with your traditional drift score total. 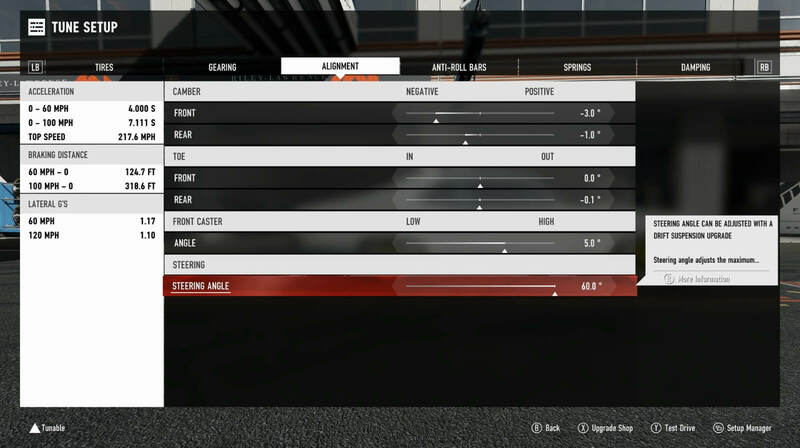 Furthermore, light wall taps or light collisions with another driver in tandem will no longer drop your drift score, and as with the updated track limits in traditional races, getting two wheels out of the track limits – such as both rear wheels, for example, won’t drop your drift score. This means the overall drifting experience is more forgiving, but also more meaningful – especially with the addition of new drift-focused leaderboards. Another important change comes in the form of drift zones, which have been completely removed from tracks. This means you can now ‘manji’ drift down straights and earn drift score. You can also completely link a track together with a single drift. I look forward to seeing the first person to accomplish this on the iconic Nürburgring-Nordschleife circuit. 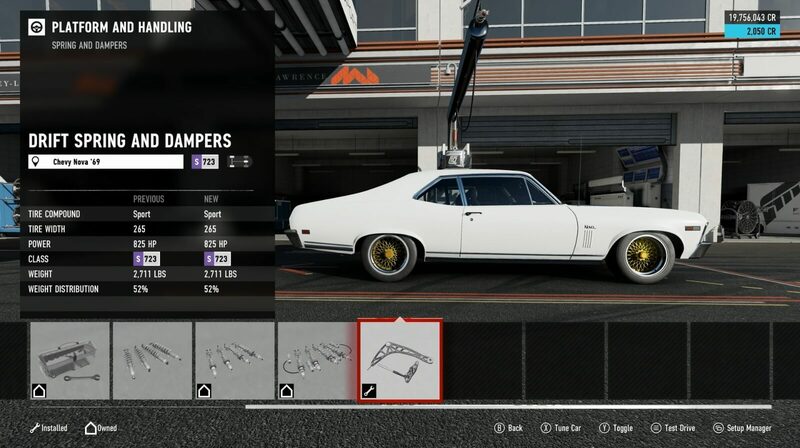 Players can also now save and load race configurations in Free Play, Split Screen, and Private Multiplayer lobbies when playing Forza Motorsport 7. Once a lobby has been set up and configured, players will have the option to save those settings and give it a unique name. Up to 300 of these named Race Setup files can be stored on the game, and if you join a Private Multiplayer lobby and you like the options that the host has configured, you can also save a copy for yourself. In addition, the Open Test Track Airfield has also been made available in single-player. Players can find this wide-open test ground in Free Play and Test Drive modes. No laps, no time limit, and no restrictions. Just drive, drift and ‘hoon’ to your hearts’ content! Improvements to multiplayer have also been made, including the introduction of Spectate Ticker options for new multiplayer race types. Players will also now randomly shuffle between classes after each race when playing in the ABCS Multiplayer Hopper. The August Content Update will arrive into Forza Motorsport 7 with all the features mentioned above this Wednesday, August 8th. 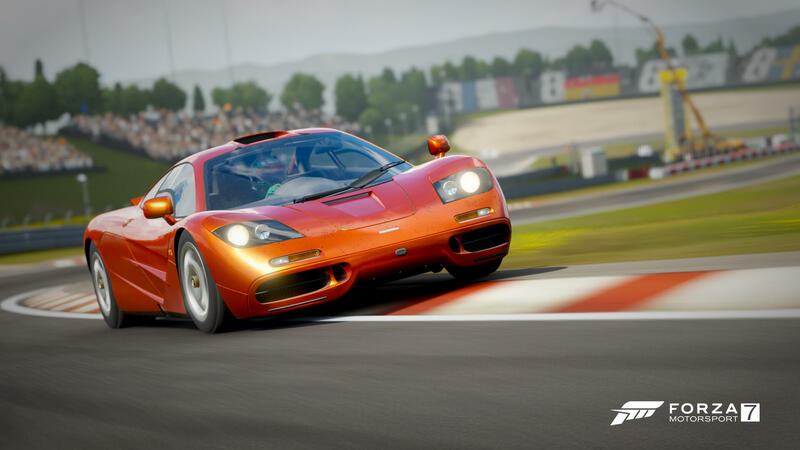 Typically, Forza client updates are released on a Tuesday, however a change was made for this one to ensure the current ForzaRC Rivals Qualifying event was done and dusted – an important decision when you consider how this update completely redefines all the track limits in Forza Motorsport 7. In addition to the new features and enhancements, Turn 10 will also light up a selection of new welcoming Multiplayer Hoppers in the game for new players. These will arrive on Thursday, August 9th with the next Hopper refresh, and they include various introductions to different systems in Forza Motorsport 7, including racing, drifting and drag. These are general mechanics that welcome players to the world of Forza and allow them to understand the basics of the game and have more fun with each other. Finally, a quick note on Prize Crates, which are being removed from Forza Motorsport 7 later this year. 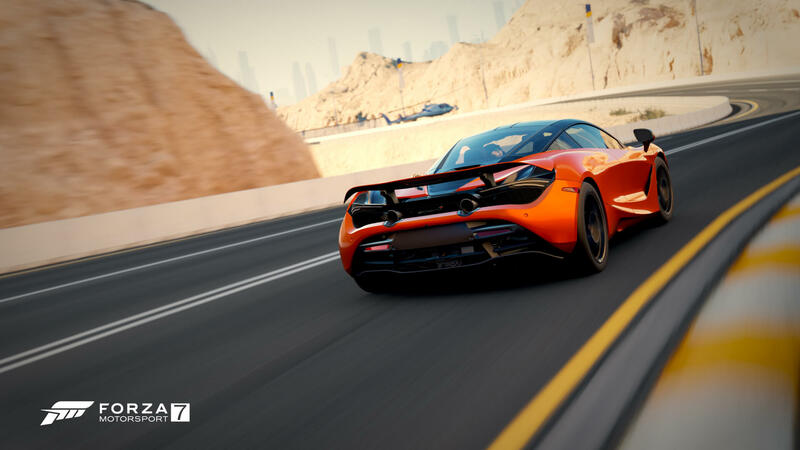 The July Content Update took a step forward by removing cars from these randomized ‘loot boxes,’ and in the future, players can look forward to a new shop in the game that will allow the purchase of Driver Gear outfits, Mods and Player Badges. 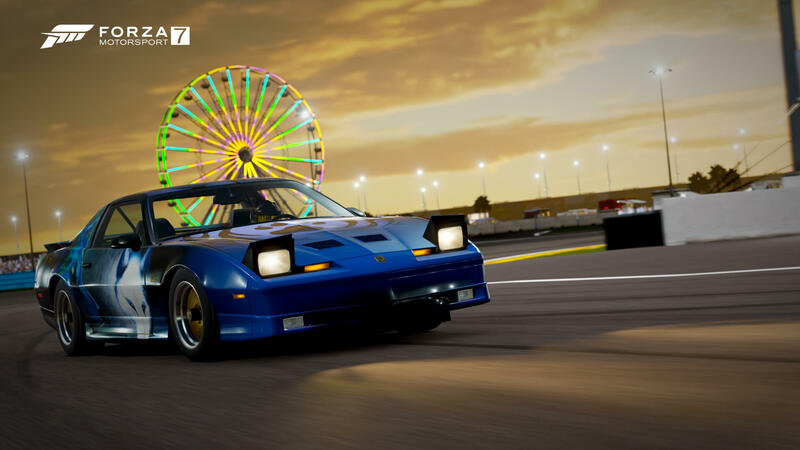 Look out for more details on this as Prize Crates are phased out of Forza Motorsport 7 over the months ahead, but for now, be ready to race, hot-lap and drift your way to the success with all the new features and improvements of the August Content Update dropping this week!